Vous pouvez également utiliser 37600 Kobo Super Points pour l'obtenir ! 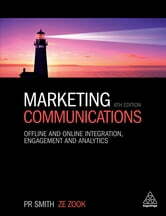 ***Marketing Communications***provides a comprehensive overview of every aspect of marketing communications, from social media, advertising, PR and sponsorship to direct selling and merchandizing. It presents modern marketing communications theories and tools in an accessible way so readers can fully understand the landscape and achieve better results. With a plethora of examples and case studies, as well as online support material for lecturers and students, this essential textbook will guide students and practitioners through everything they need to know about the changing face of marketing. 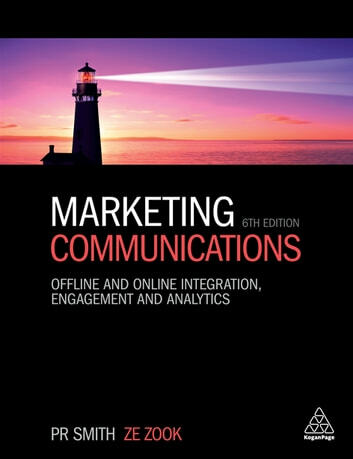 This fully updated 6th edition of ***Marketing Communications***features more of the underpinning theory whilst building on its impressive reputation as a leading practical textbook on the subject. Case studies and anecdotes from companies such as Campbell's Soup, Spotify, Paypal, Kraft and Nike focus on recent digital developments to bring the latest marketing tools to life. With a particular emphasis on analytics, engagement and integration, it addresses the integrated offline and online with social media approach to reflect the current state of play for marketing communications experts. This edition is also supported by a wealth of online resources, including lecture slides for every chapter and self-tests for students.